On Thursday 15th March we held our annual Constructors’ Exhibition preceded by a short auction. It was a really great meeting, with one of the best attendances for a very long time. The meeting commenced with an auction of 15 lots from the shack of late CARA member Ian M0ITF. Our Chairman Tony G3YYH did a super job as auctioneer extracting bids with much skill and humour. Every lot was sold, some at higher than expected hammer prices. Ian’s family were well pleased with result. The Constructors’ Exhibition was fairly well supported but with fewer exhibits than in recent years. Nevertheless there was much of interest to look at. The Morse Keys made from clothes pegs by Jon M0JMM attracted much attention and really should have won a prize had there been a suitable category! Two pieces of home-brew from the early 1970s, built by Ken G3XSJ, also attracted much attention – as being examples of construction techniques from yesteryear. The “741” op amp constructed from discrete components by Simon G4SGI was considered an excellent teaching aid. The Tuna Tin transmitter for 40m fascinated many. 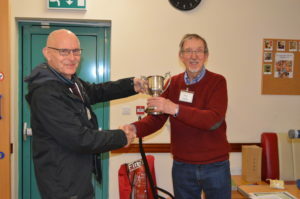 The well deserved winner of the Bill Brown G5BK Cup for “Best in Show” went to Colin G3VTS for his home-constructed 5-band cobweb type antenna – exhibited as photos rather than the real object! The Pat Moore memorial Cup for “Innovative Construction” and the Roger Kendall G0UPU Memorial Cup for “Best Software or Computer Related Project” were not awarded as there were no suitable qualifying exhibits. The judges were Peter G4ENA and Ken G3LVP to whom go many thanks. HF2V shorting strap for 30m operation – Tony G3SNN. Selection of Morse Keys made from clothes pegs – Jon M0JMM. KRC-5 80m direct conversion receiver – Derek G3NKS. 5-band cobweb antenna – Colin G3VTS. Audio modules for 6cm wide-band FM transceiver – Stewart G0LGS. 160m valve transmitter 1971 – Ken G3XSJ. PW Clubman receiver 1970 – Ken G3XSJ. Tuna Tin 300mW transmitter for 40m – Walt G3NYY. Discrete “741” op amp from a Mad Scientist kit – Simon G4SGI. An unfinished 4-band 45W transceiver – Colin G3TA. 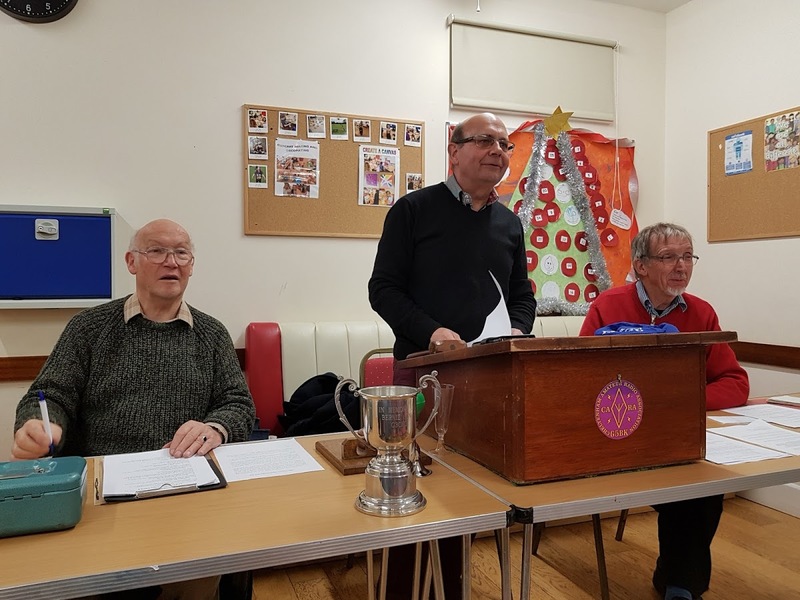 Many thanks to everyone who helped to make it such an enjoyable meeting, and particularly to auctioneer Tony G3YYH, and to Peter G3YJE, Alan M0NRO and Smurf M0URF for manning the kitchen. The meeting will commence with a short auction of SK items, for members only. The main event will be the annual Constructors’ Exhibition – members may enter items as many items as they wish. These may be small or large, simple or complex, hardware or software based, use vintage or modern components and techniques. Anything which has been constructed, or heavily modified, to do with amateur radio will be welcomed and these may be built from a kit of parts, based on a magazine article or entirely original. Items must have been constructed within the last few years and not have been exhibited before. The Bill Brown G5BK Memorial Cup for the “Best in Show”. The Pat Moore G3IKR Memorial Cup for “Innovative Construction”. The Roger Kendall G0UPU Memorial Cup for “Best Software or Computer Related Project”. Thursday 15th March at the Brizen Centre, Up Hatherley Way, located between Morrisons and the Shurdington Road. Doors will be open by 7.30 for an 8pm start. Beware of the height barrier when entering the car-park. Visitor and prospective members will be warmly welcomed. The meeting started with a short auction of Silent Key items. There were about a dozen lots including an elderly FT-102 HF transceiver, an external VFO and speaker units for the FT-102, two scopes, two AVO multi-meters and two power supplies. A couple of the lots failed to reach their reserves but the rest went for good hammer prices (for the benefit of the family). The main activity that evening was the “Table Top Sale” where members brought along items no longer wanted to sell. 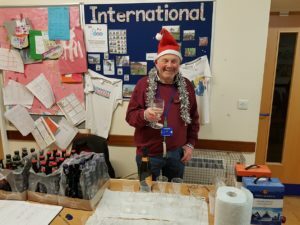 There was plenty of interesting stuff up for grabs, some at very low prices, Andy M0JLY was disposing of several of his home-brew projects several of which were quickly snapped up. Other sellers included Tony G3SNN, Colin G3VTS, Jon G0FJT and Peter G3YJE (apologies to anyone missed). Reports suggest that both sellers and buyers were pleased with the outcome even though some of the tables didn’t empty as well as was hoped. 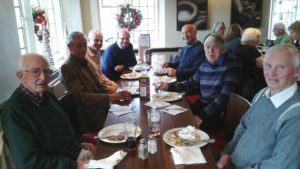 As usual there was lots of chat – it’s great to see members getting together seeking advice, swapping stories and enjoying each others company. Surely that’s what clubs are all about! Finally, many thanks to Colin G3TA for manning the kitchen. The CARA Foundation Licence course being held on 3rd/4th March is now full. Thursday 15th February will see our annual sale of members’ surplus equipment, now called a “Table Top Sale” to reflect the nature of the event. Members are invited to bring from their shacks stuff they no longer need, find space on the tables and sell to the multitude! A bit of haggling will no doubt be the order of the day! There may well be a short auction of a few items from recent SK disposals. So please come with well-oiled wallets loaded with plenty of cash! The Treasurer may well take cheques from members for auction lots. Doors will be open by 7.30 for a nominal 8pm start. Visitors and prospective members will be made welcome, as always. Venue: Brizen centre, Up Hatherley Way. Located between Morrisons and the Shurdington Road. Beware of the height barrier when entering the car park. 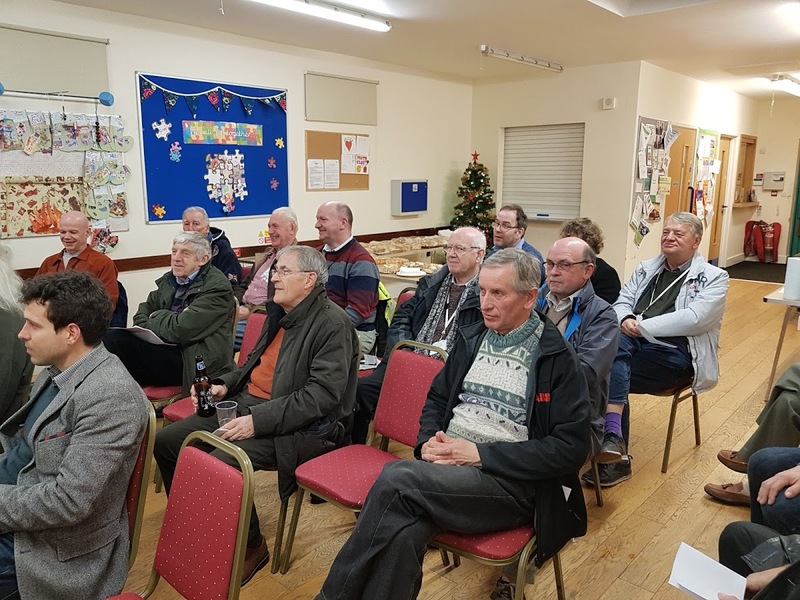 The meeting saw one of the largest attendances for a talk for some time, no doubt because of the popularity of the subject matter, Data Modes, and the speaker, Barry M0HFY. 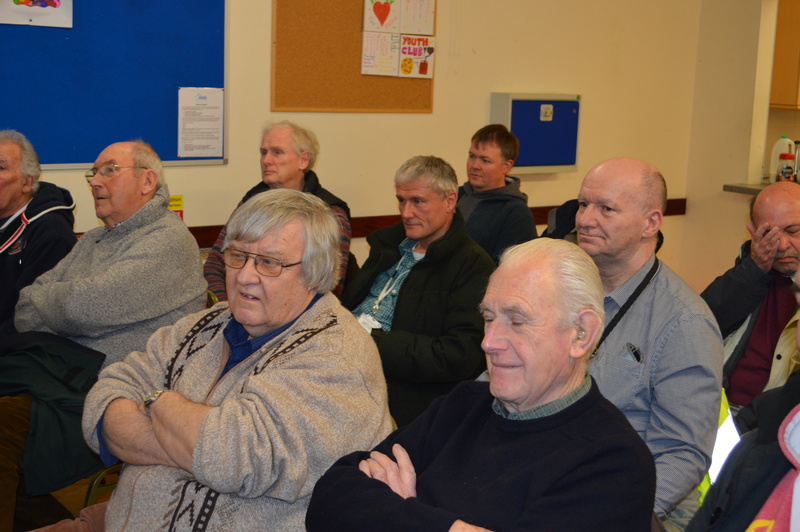 The meeting began with a couple of presentations carried over from the AGM in December. 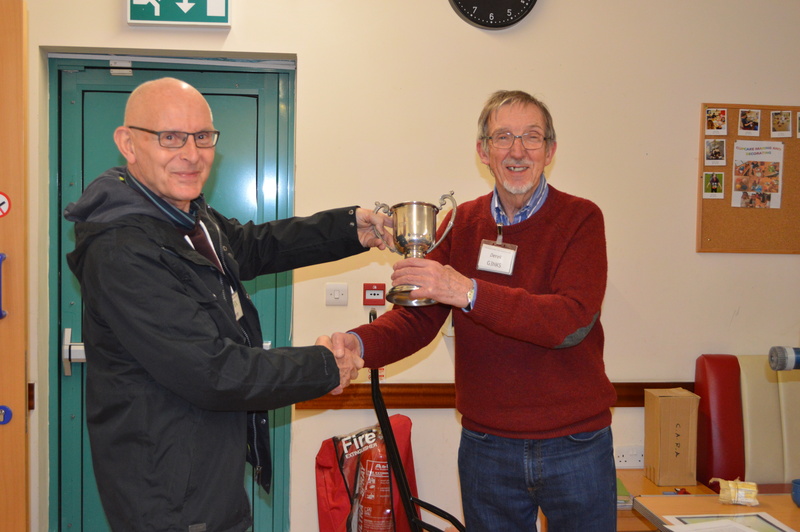 The Bernard King G3CEG Memorial Cup, for noteworthy and praiseworthy on-the-air activities went to Simon G6AHX in particular recognition of his VHF DX successes. Simon G6AHX receiving the G3CEG Cup from Secretary Derek G3NKS. Photo by G3YJE. The John Holt Award, for exceptional services to the club, went to Jon M0JMM in particular recognition of his work creating and managing the CARA Fun Activity Challenge. 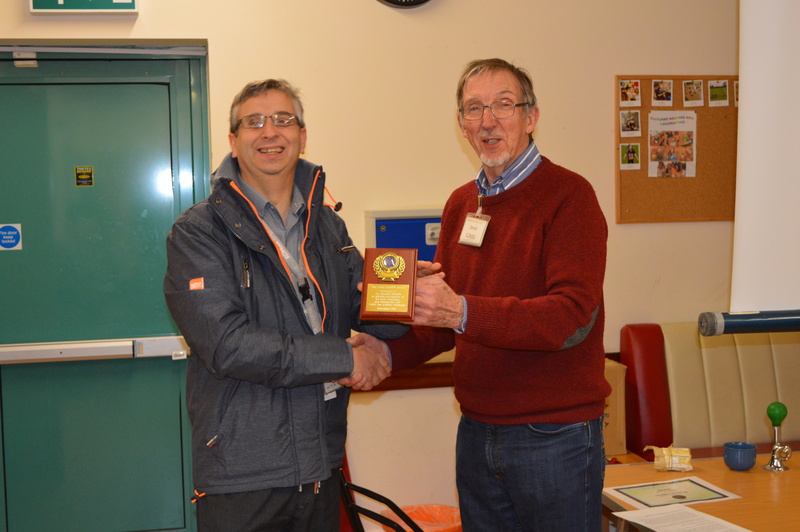 Jon M0JMM receiving the G3GWW Award from Derek G3NKS. Photo by G3YJE. Barry began by explaining how radios and computers could be connected together for working data modes, starting with the simplest form of inter-connections to more sophisticated arrangements using interface units. He then spoke about popular modes such as JT65 and FT8 – noting that the latter is rapidly becoming the data mode of choice for very many operators. Several screen-grabs of JT65 and FT8 in action where shown. A fuller report will appear in February’s CARA News. Many thanks to Barry for a really interesting talk, as evidenced by the many questions asked of him, and to Alan M0NRO for manning the kitchen. CARA will be running a course in Cheltenham for the Intermediate Licence over the weekend of 4th/5th August with the exam on 12th Sunday August 2018. To judge by the amount of activity around the designated data mode frequencies, such modes are very popular these days, with more being introduced as the months go on. 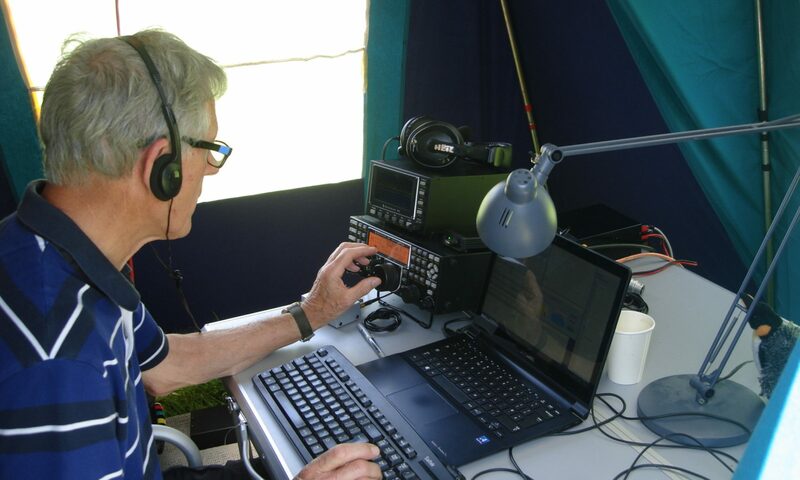 Barry M0HFY has kindly agreed to tell us about a few of the more popular modes such as PSK, JT65 and FT8. He will also explain the best way to interface our computers with our rigs. This should be a very interesting meeting which will appeal to a wide range of club members. Thursday 18th January, 7.30 for 8pm at the Brizen Centre, Up Hatherley Way, located between Morrisons and the Shurdington Road. Beware of the height barrier when entering the car-park. Visitors and prospective members will be welcomed, as always. We enjoyed good food and good conversation. A great time was had. This is a brief report on the AGM. A fuller report will appear in an early issue of CARA News. Twenty-five members and one visitor (who subsequently signed-up as a member) attended the meeting. The Chairman’s and Treasurer’s reports were approved unanimously. The proposal to keep the annual subscription at £13 was approved. Graham G8URP who will continue to act as Membership Secretary. It was suggested that the club should buy equipment, especially test gear, for loan to members. Another suggestion was that a survey of members’ opinions about the club and its activities should be conducted. The Chairman said both these suggestions will be considered by the 2018 Committee. 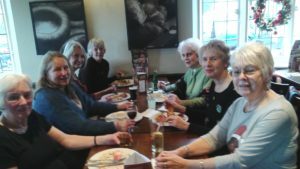 It was confirmed that the committee was still seeking a better venue for our monthly meetings, two had been considered but rejected as being unsuitable. The meeting closed at 20.18 following a vote of thanks to the committee for doing a good job during 2017. After the formal meeting, we enjoyed much chat and a generously provided finger buffet and a bar. Barman Tim G8PZD sampling his wares!